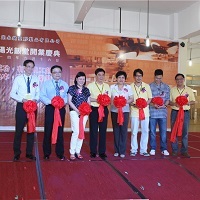 Factory - Wing Mau Products Development Ltd. The completed molds are transferred to injection workshops and tested with a trial shot. This serves as a final check of quality. 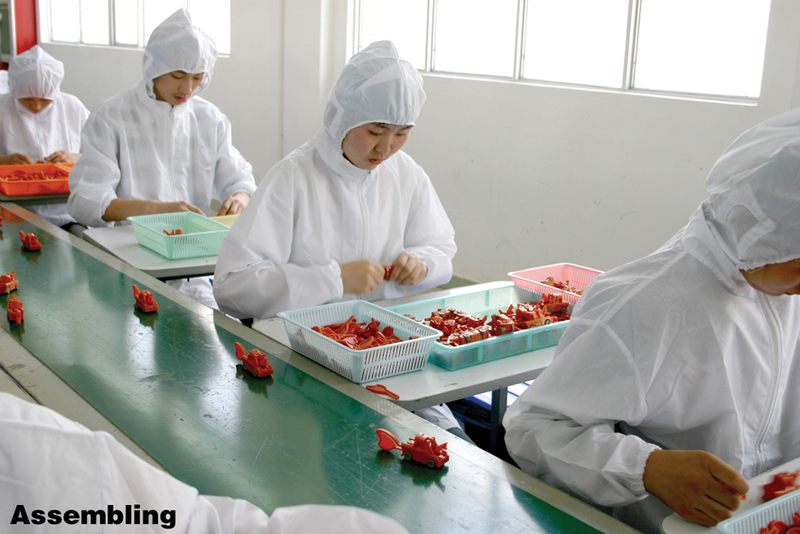 Each factory block at Wing Chit is equipped with an injection workshop, located on the ground floor level. 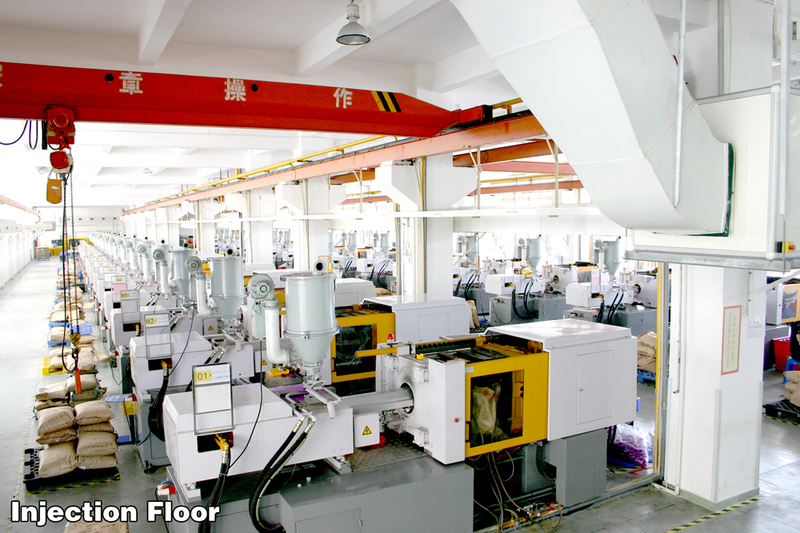 We import our injection machines from Japan and Taiwan. 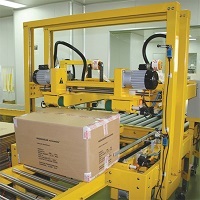 The injection floors are also equipped with robotic arms and conveyor belts for maximum efficiency. Painting is a crucial step in adding detail to the products we create. 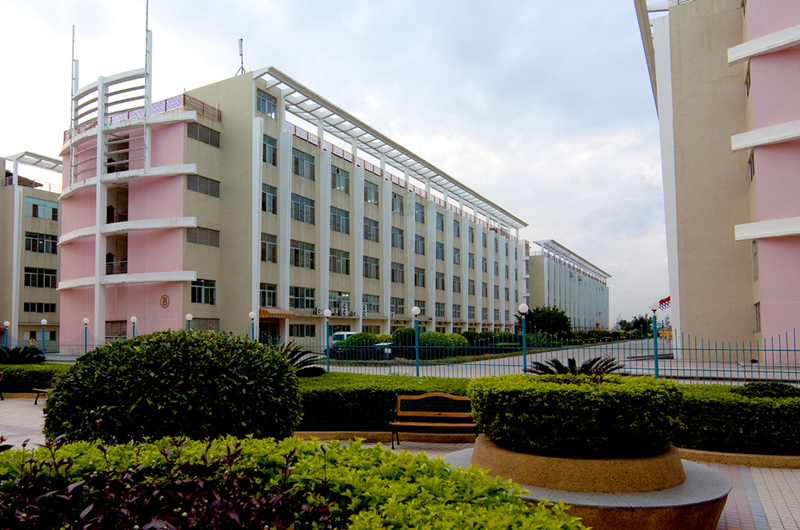 Located on the third floor of each factory building, painting workshops are well-equipped to handle multiple color options and painting methods. 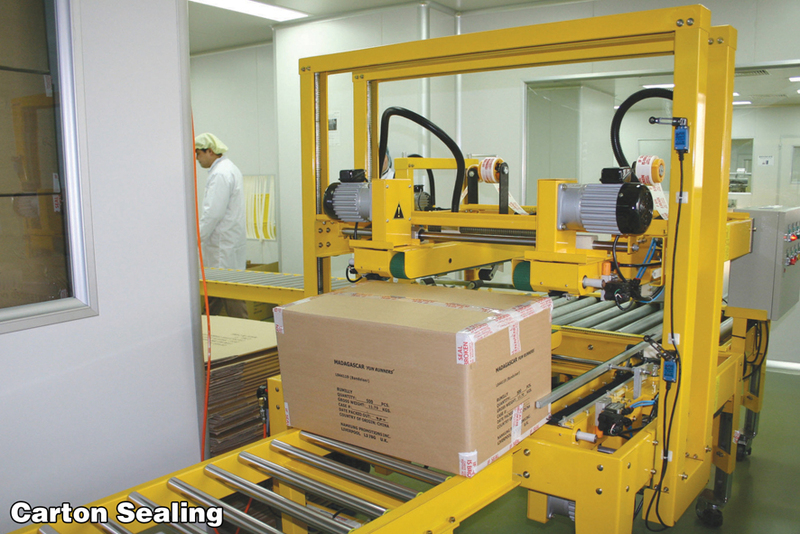 Water curtains are used for large-scale hand painting as well as machines for heat transfer and pad printing, allowing us to apply whatever custom graphics are necessary to the product. 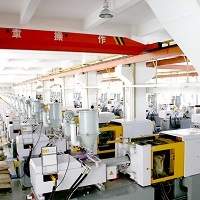 The product pieces are finally assembled to make a complete toy on the second floor of each factory block. 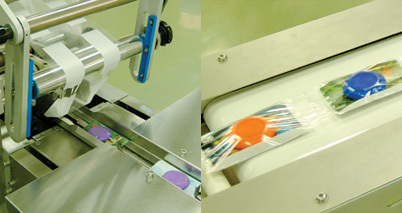 Production lines with conveyor belts move the products along to ultrasonic welding, automatic heat sealing, and blister sealing machines. 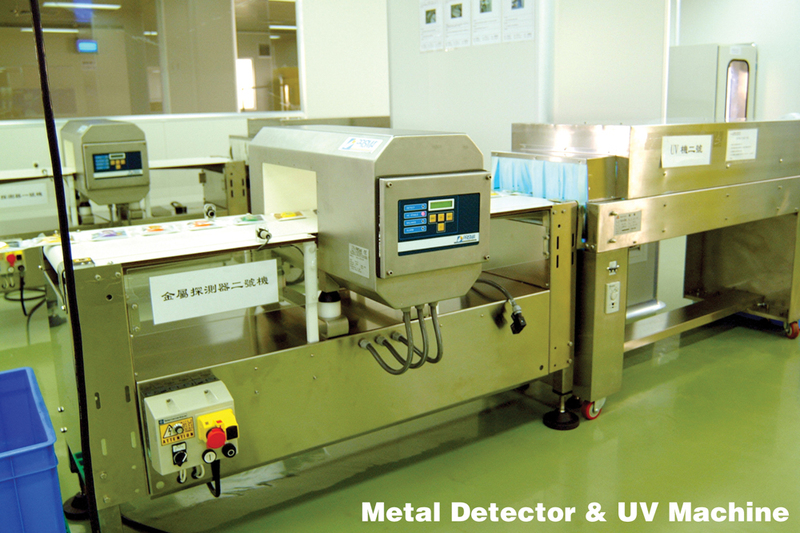 The toys pass through metal detectors and UV sterilization procedures before proceeding to the packaging zone. 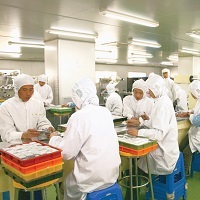 Located on the first floor of each factory block, the assembled products are packaged to client specifications in fully air-conditioned environments equipped with water-cooled ventilation systems. We are well-equipped to handle the ever-changing demands of toy packaging whatever your needs, from simple PP bags to capsules of all shape and size, blisters and gift box sets. 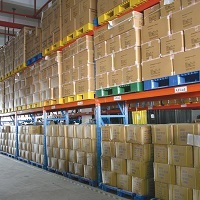 The completed products are packed into cartons and moved to our dedicated Logistic Zone, ready for shipping in 20' or 40' crates. 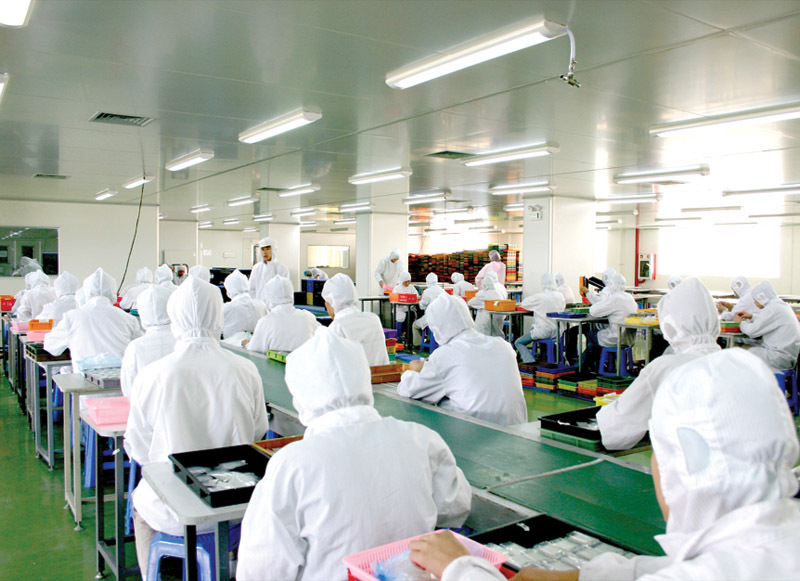 Our factory is equipped with dust-free clean rooms, held up to the industry standard of class 100,000 in compliance with GMP standards. 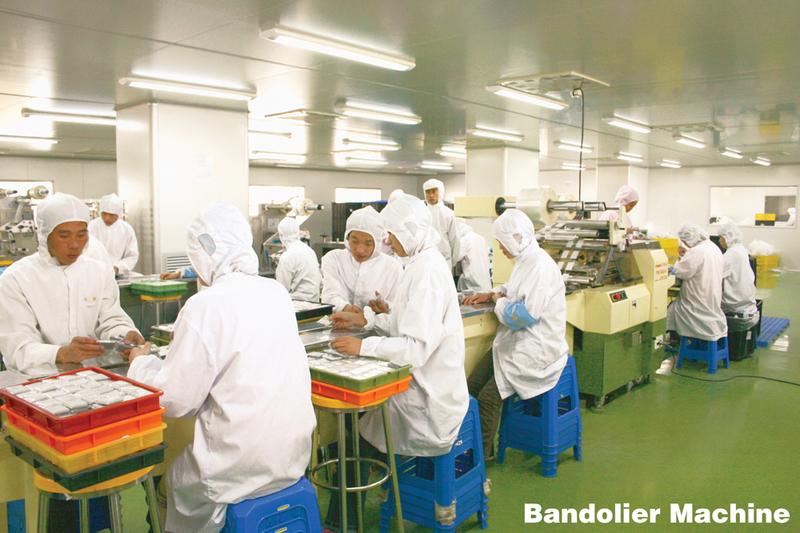 Aside from being excellent for precision manufacturing, these stringent standards also give us production capability for candy toys and products that are packaged with food items, fulfilling the food-grade safety requirement. 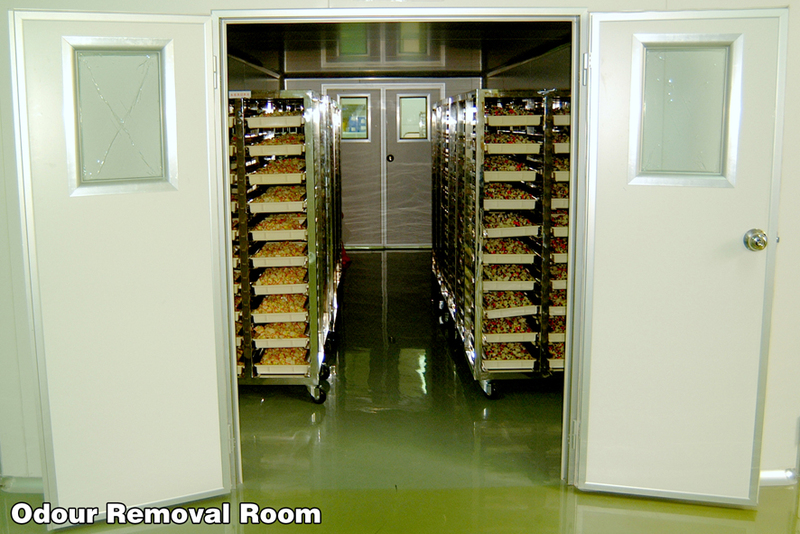 Personnel who work in the clean rooms have to pass through specialized air shower facilities to decontaminate. 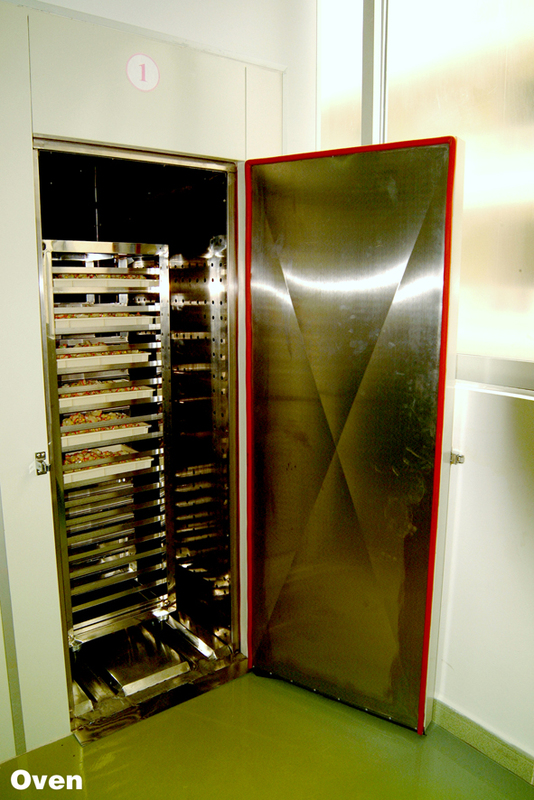 Manual anti-static units equipped with HEPA filters keep the area free of dust and detritus. 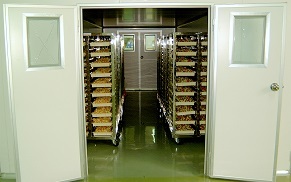 Low-temperature curing ovens finish the products. 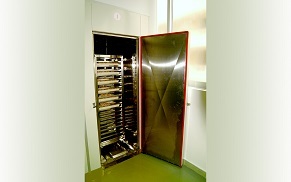 These facilities are also equipped with airing and venting chambers, with active carbon zones that help remove residual odors from the painting process. 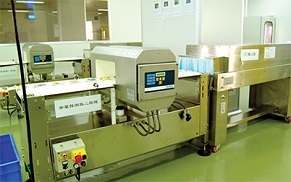 Finally, the products are sanitized in a UV tunnel and checked with a metal detector before passing through automatic overwrapping machines and mechanical pass boxes. 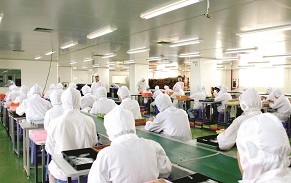 500 square rooms totaling over 300,000 square feet are set aside as living space for factory staff. The dormitory is capable of housing four thousand workers. 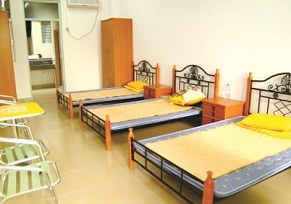 Each room is equipped with a toilet, hot and cold water, a balcony and private lockers. 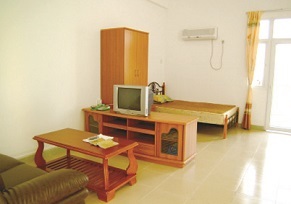 Rooms are designed specifically for good ventilation. 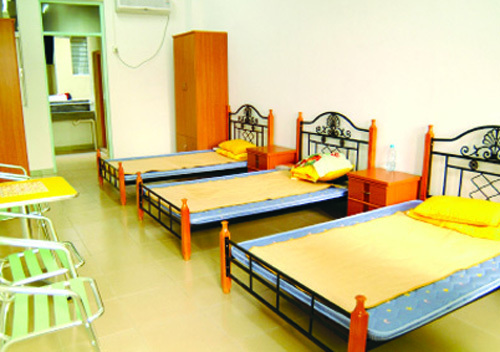 Drinking water is supplied to these rooms directly from a water purification plant. 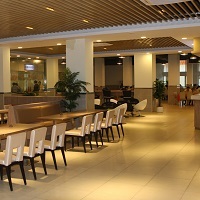 Over 50,000 square feet are set aside as living quarters for upper management and higher-level staff. That space is further divided into 120 executive rooms, with 80 single rooms and 40 two-bedroom suites for families. 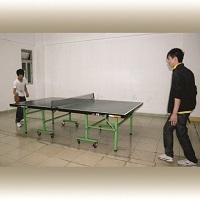 Like the workers' dorms, they are also equipped with toilets, hot and cold running water, and balconies. 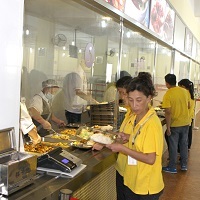 Our newly renovated and accredited canteen facility, certified to health and safety regulations, gives employees a variety of choice in their diets. 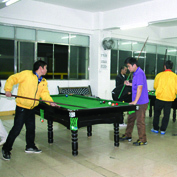 Divided into areas for workers, supervisors, and even a VIP room and serviced by a modern stainless steel kitchen, workers are served delicious meals here at regular times. It is important to strike a good balance between work and play, because well rested and happy employees help improve productivity. 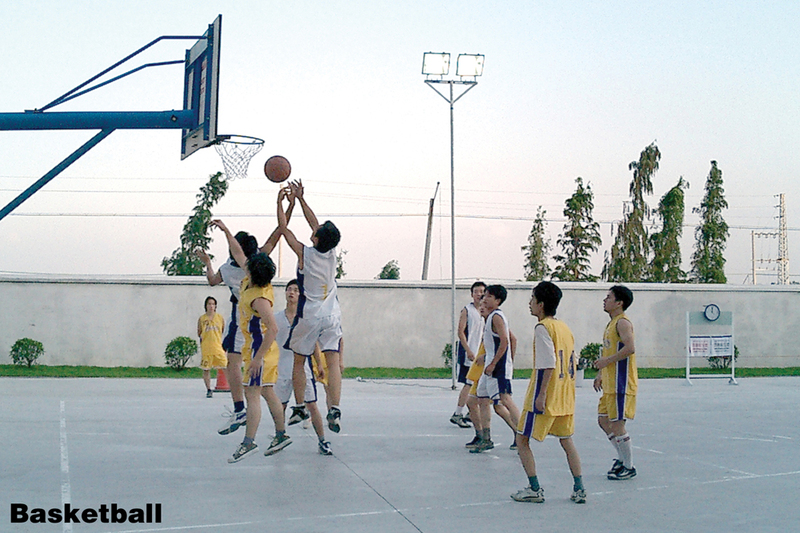 To facilitate this, our industrial estate is well-equipped with leisure facilities, from a garden to locations for sports. 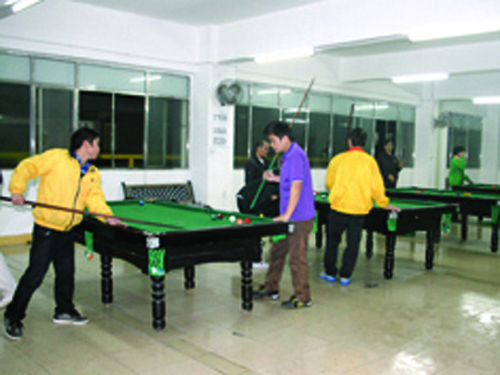 Basketball courts, snooker tables, table tennis and badminton courts are all provided for workers' entertainment, alongside an employee library and karaoke facilities. Occupying over 43,000 feet, this is where products are stored and carted off loading docks to be transported around the world. 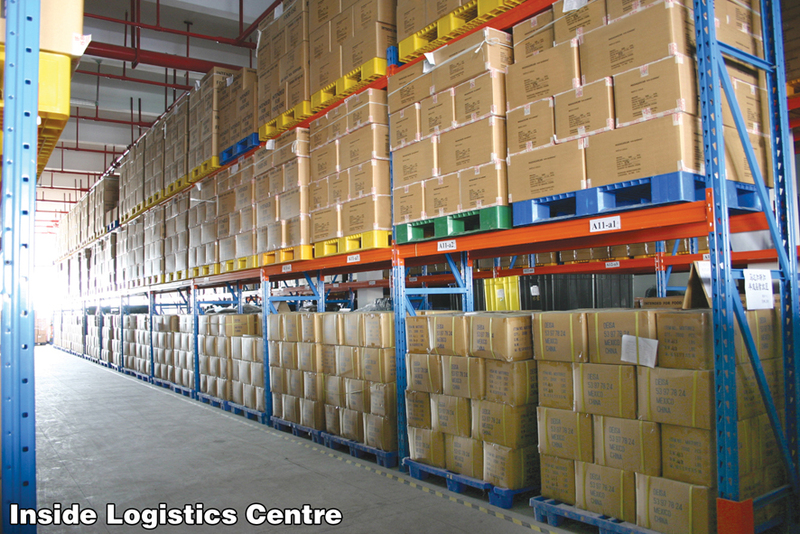 This section manages and controls transportation, supplies, storage of raw materials and finished goods. 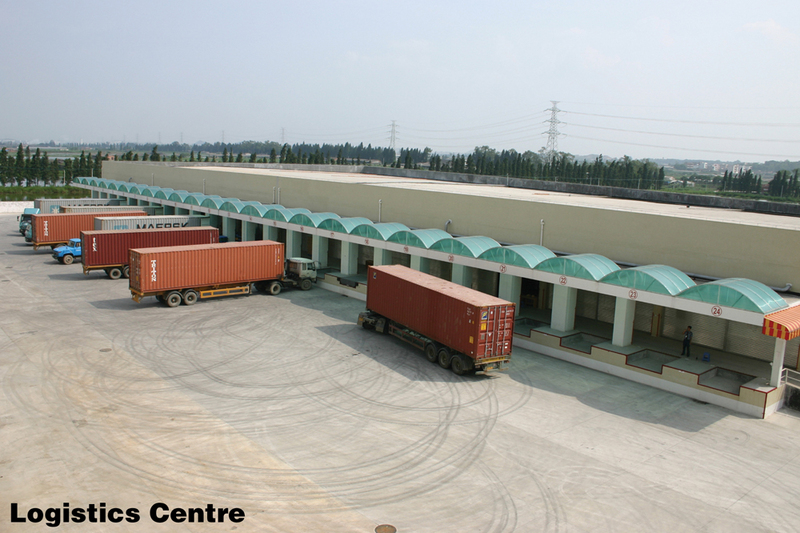 24 loading bays for trucks keep products and materials going in and out of the industrial estate at an efficient rate. 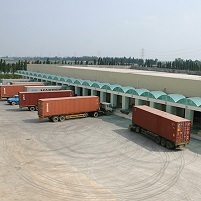 Our logistic zone and storage facility also adheres to the high standards we expect in all other zones of operation, and keeps to international safety regulations for loading and storage of goods. 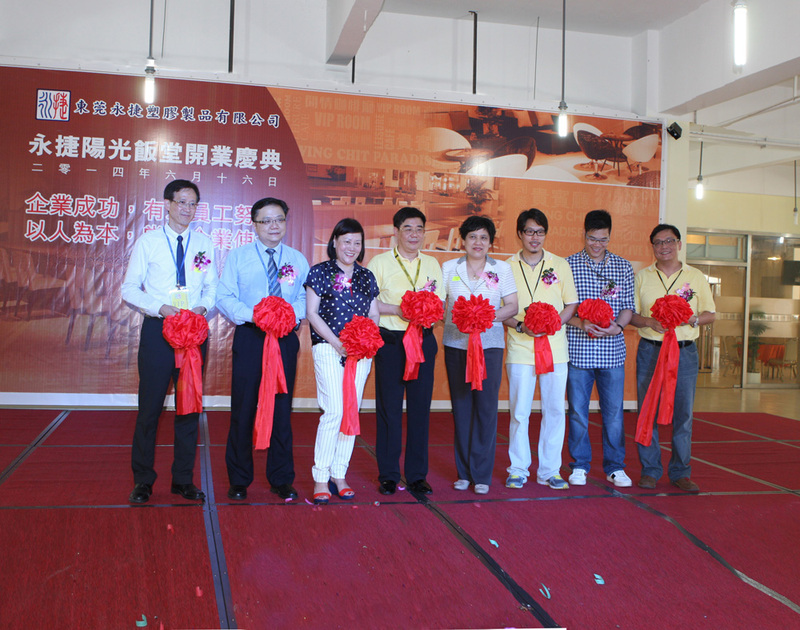 Responsible for security, maintenance and supervision, this section manages personnel and staff within the industrial zone. 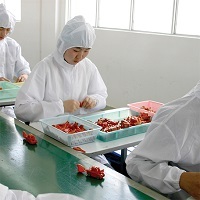 The production flow is watched with security cameras from a central hub to ensure manufacturing methods and trade secrets are closely guarded. 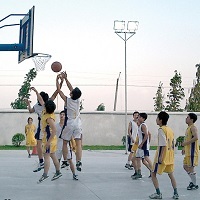 General orders - Administration, sales, accounting department, management.